What hymn, written by a Unitarian, is a meditation on the biblical story of Jacob’s dream? In this hymn, Adams used images of Jacob’s dream at Bethel. The biblical story (Genesis 28: 10-22) describes how Jacob, in flight from his angry twin brother, stopped for the night and laid his head on a stone pillow. 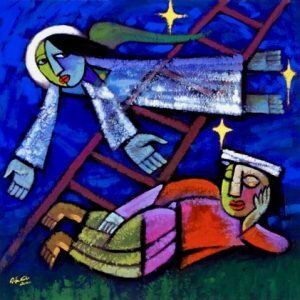 In a dream, he saw angels going up and down a ladder that stretched all the way to heaven. Singing this hymn, we identify with troubled Jacob wandering through a hostile landscape. Angels appear from the darkness and beckon us to rise from our “stony griefs.” We are eager for morning to break. Then, we will sing praise and turn our stone pillows into markers commemorating the place where we’ve awakened to God’s merciful presence. When Sarah was only five, her mother died. Consequently, she looked to her sister Eliza, two years older, for comfort and encouragement. The two remained best friends for life. Their father, Benjamin Flower, was a radical journalist who, as a young man, had been jailed for his writing. When he died in 1825, the sisters moved into the household of William Johnson Fox. Rev. Fox was a leading Unitarian minister in London, famous for his support of women’s rights, freedom of the press, and other progressive causes. Under his guidance and influenced by friends like the poet Robert Browning, Sarah and Eliza became ardent feminists, devoted to literature and music. In 1834, Sarah married author-inventor William Bridges Adams and set up house in London. 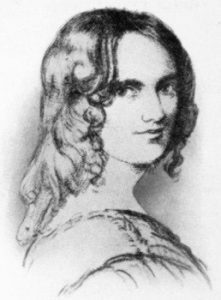 Eliza moved to a house nearby and dedicated her life to composing. Sarah’s husband encouraged her passion for acting. Vibrant and beautiful, Sarah became known on the English stage for her portrayals of Lady Teazel in The School for Scandal and Portia in The Merchant of Venice. 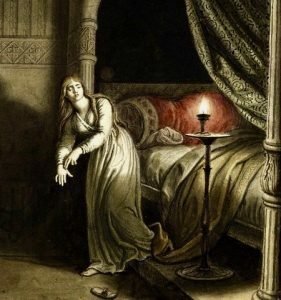 She received rave reviews for her Lady Macbeth in 1837, but poor health crushed her dreams of an acting career. She was forced to leave the stage and return to the less physically strenuous life of a poet. At church, the sisters helped Rev. Fox prepare a hymnbook, the 1841 Hymns and Anthems. Sarah contributed 13 hymn lyrics and Eliza 62 hymn tunes. When Eliza became sick with consumption (tuberculosis), Sarah remained by her side, nursing her sister through long periods of misery. Eliza died of the disease in 1846, and Sarah succumbed two years later at age 43. When she died, Sarah had no idea that her hymn text, “Nearer, My God, to Thee” was destined for greatness. 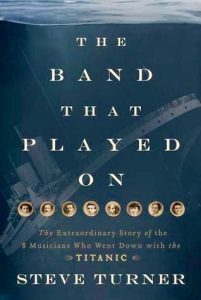 Legend: The ship’s band continued to play this hymn as the Titanic went down. In 1856, 15 years after the words were written, Lowell Mason, the “Father of American Church Music,” wrote the tune we now most associate with this hymn. Until then, Sarah Adams’ words were sung to various melodies. Mason named the tune BETHANY. No one knows why. It first appeared in Sabbath Hymn and Tune Book in 1859 paired with Adams’ words, and a hymn was born. A favorite of Queen Victoria and Edward VII, the lyrics of “Nearer, My God, to Thee” were whispered by the assassinated president William McKinley on his deathbed. 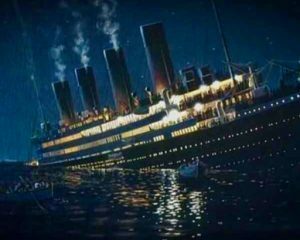 And, though disputed by some, legend has it that the band on the Titanic played this hymn as the great ship went down. Sign up to get email notices of new hymn meditations! What Easter hymn calls us to awaken from wintery despair to new life and love? What hymn text expresses our fear of being shunned, shamed, forgotten? What stirring hymn, written by two brothers, is an ode to black culture and a call to action?